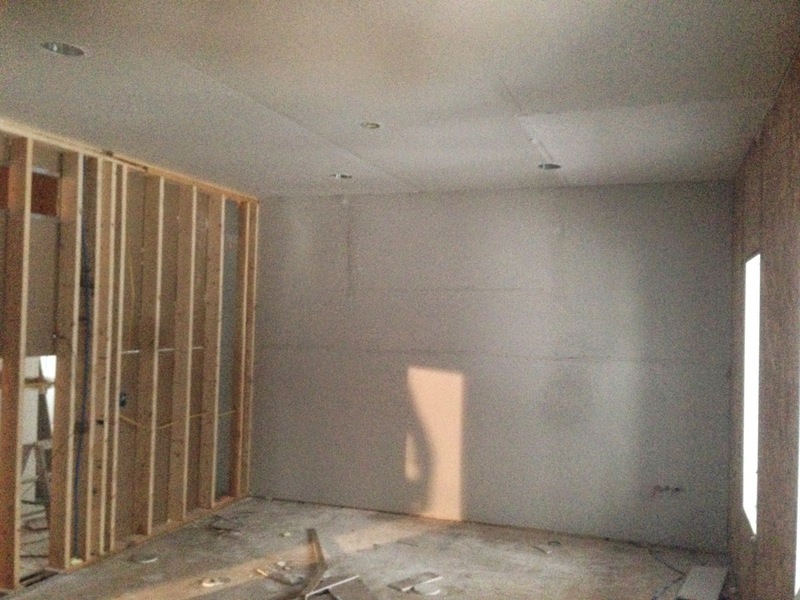 Building Beyeler Hollow: Day 275: Sheetrock is In! It's been a while since my last post...expect some catch up posts...sometime. 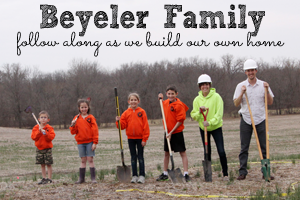 Being busy on the house means less time to update the blog. We've had a lot of things happening lately and hope to bring you up to speed. 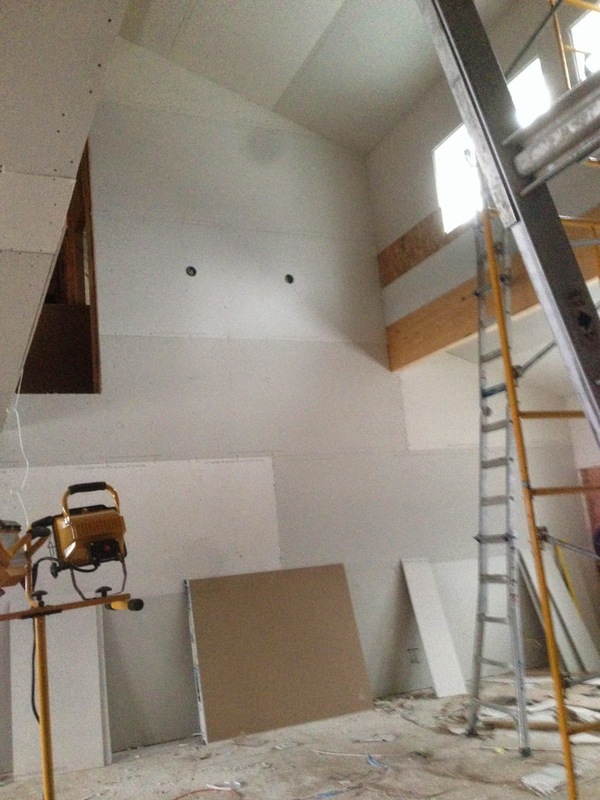 One of the most exciting areas of progress is the sheetrock in the interior of the house. We decided to hire out the sheetrock to a pro. It was actually one of the easiest and earliest decisions we made. I know my strengths, and I'm not a good mud and tape guys. I'm too slow and too much of a perfectionist to ever be satisfied with my own work. 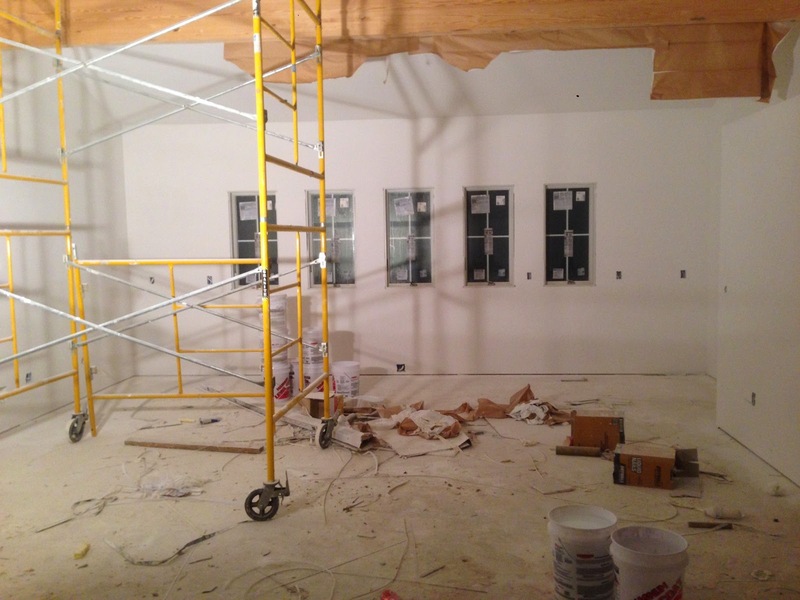 So, on Dec. 19 we had Juan and three of his pals from Hi Definition Drywall show up and start hanging sheetrock. It took about three days to hang it all. After hanging was done, another crew came to do the mudding. It took about three days as well for the mudding to be complete. After mudding, another came in and gave it a good sanding.After a couple days of sanding, it was time for the final coat. We opted for a "Level 5" finish in the great room. 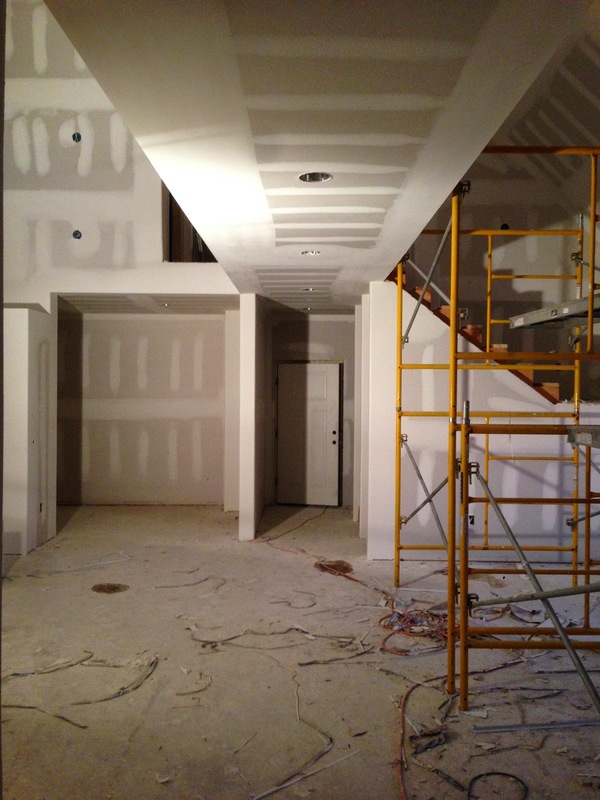 A level 5 finish consists of a thin coat of mud and primer mix that was sprayed on like paint. After drying, the coat was sanded smooth. This level of finish is typically used in areas were there is a lot of light or long walls/ceilings that would show minor imperfections in the walls.